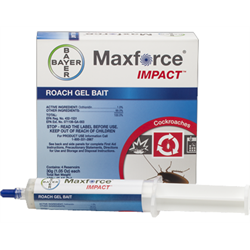 Maxforce Impact Roach Gel is uniquely fit for today's modern bait rotation strategies. 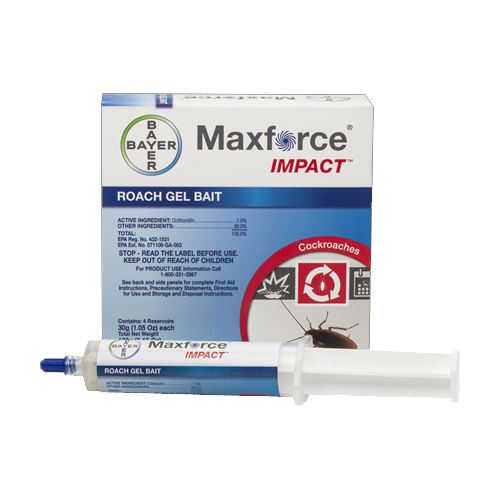 The new bait matrix and new bait active ingredient in Maxforce Impact allows PMPs to overcome aversion and resistance without compromising performance and flexibility. This bait can be used to control German cockroaches, American cockroaches, Oriental cockroaches, Brown cockroaches and Smoky Brown cockroaches.